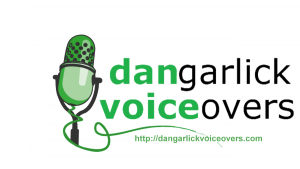 Dan Garlick Voiceovers – The International Voiceover of Experience to Sell, Promote, Teach, Narrate or Explain | Over 100,000 voiceovers | Lend Me Your Ears ! If you were first on the scene of a car crash, would you know how to help? Today, St John NSW is launching a new campaign – First on Scene. Shockingly, research says that up to 13% of people who currently die on NSW roads could be alive if they received vital support in the first 5 – 7 minutes after a car crash. This campaign aims to educate and encourage drivers to learn first aid and help three of the most important skills that could help to save a life: control bleeding, keep airways clear and perform CPR. "The International Australian Voiceover of Experience"
I can Sell, Promote, Teach, Narrate or Explain. Lend Me Your Ears ! I’m Dan Garlick. A native Australian male voiceover talent with loads of international experience. Professional, mature and versatile Australian male voice talent for hire ! With over 100,000 voiceovers professionally recorded for many satisfied clients worldwide you can brand your audio project with my voice knowing that I have worked for over 30 years in the voiceover industry. 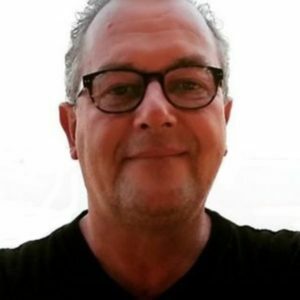 As an internationally experienced Australian male voiceover talent I have voiced a wide range of audio projects from television and radio commercials to phone on hold messages to online training to corporate presentations to movie characters. I have produced quality Australian accented voiceovers and neutral English accented voiceovers for companies including Paypal Asia, Telstra, Danone, Huiwei, Wuling Motors Indonesia and Ambulance Victoria. I have also provided voiceovers for elearning courses for St John Ambulance, Origin Energy, Australian Qualifications Framework courses. My client focus and dedication to ensuring an outstanding professional result means I have been contracted by some of the worlds largest audio production companies on an ongoing basis. I am a well known voiceover artist in Australia, the UK and Asia and also use my experience to train aspiring voiceover artists. Every time I get in front of a microphone I bring you my expertise gained on thousands of audio projects. I work with clients all around the world from wherever I am ! Ensure your business stands out with a professional voiceover artist. To book me for your next audio project please send a script with directions and your estimated budget to dan@dangarlickvoiceovers.com or fill in the form below.